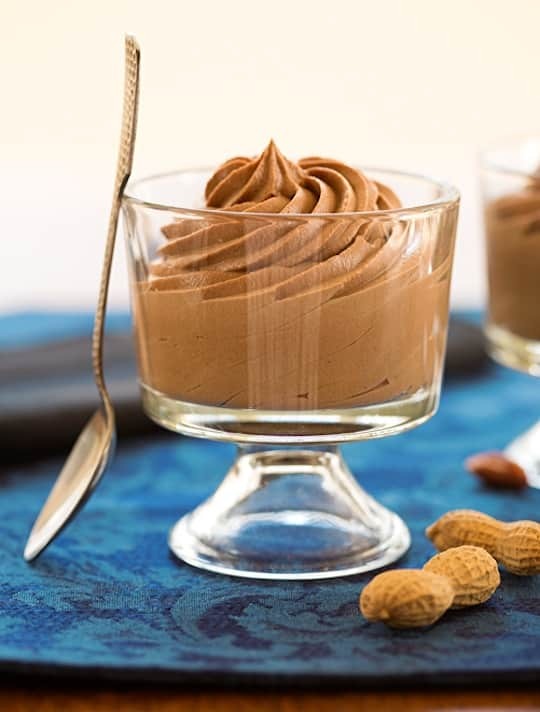 This super creamy and delightfully delicious dessert will please the chocolate and peanut butter fans at your table. Tofu replaces the eggs in this rich tasting pudding. Contributed by Laura Theodore, from Vegan-Ease: An Easy Guide to Enjoying a Plant-Based Diet* (October 8, 2015). Published by Jazzy Vegetarian LLC, © 2015, reprinted by permission. Photos by Hannah Kaminsky. 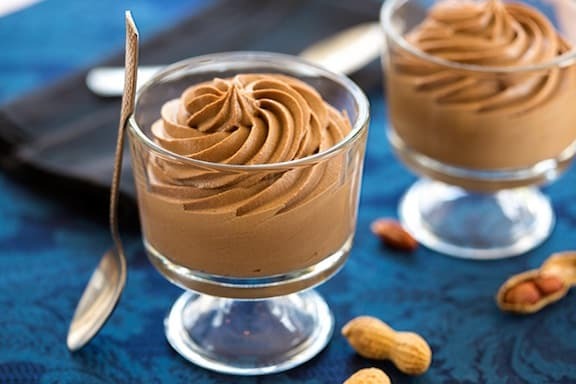 Enjoy more of VegKitchen’s Vegan Chocolate Desserts. Thanks, Jo! Please come back often. Thank you so much for sharing your recipes. I’m so glad i stumbled upon your site.